It turns day to night as it floats overhead. The Hindenburg is the world's largest airship — and in 1937, the world thinks the Nazis have mastered safe hydrogen flight. But Merten Kröger, a charming and passionate designer of the floating leviathan, knows that just one spark could engulf The Hindenburg in flames. Helium, a much safer fuel, should have been used. However, America has placed a military embargo on the sale of helium to Germany. Now, unscrupulous mogul Edward Van Zandt is determined to lift it, using any means necessary. 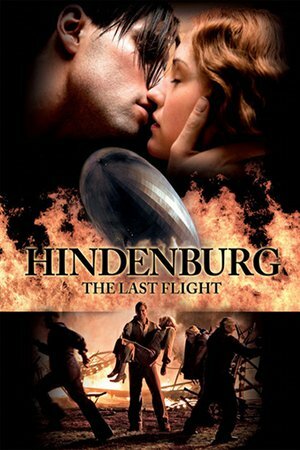 But when his wife, Helen, and daughter, Jennifer, unexpectedly board The Hindenburg, his plan backfires. Fortunately, Merten catches wind of the conspiracy and sneaks onboard to save his ship. Soon, sparks fly between Jennifer and Merten. But when he's framed for murder, she must decide if she can trust her lover, who now accuses her family of a plot to destroy The Hindenburg for capitalist gain. As the Eastern US seaboard comes into view, and festive crowds, photographers and reporters await the airship, one question hangs in the air…will The Hindenburg dock?